Toshiba has announced its new ultraportable laptop named as Toshiba Satellite U500, which features a new and streamlined design. Satellite U500 features 13-inch LCD screen, an Intel Core 2 Duo processor, up to 8 GB memory, a hard disk capacity of up to 500GB, and an ATI Mobility Radeon HD 4570 GPU. In addition, the new Toshiba Satellite U500 laptop also comes with battery life of up to 3.5 hours which lets users enjoy freedom from AC power outlets while they work and play. On the other hand, to protect data in case of a drop or shocks, the Satellite U500 has a 3D impact sensor integrated which removes the writing head within a fraction of a second when drop is detected. 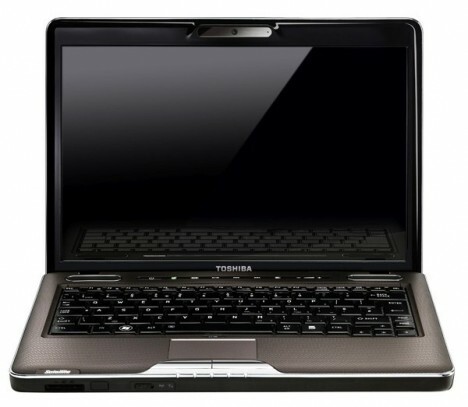 The Toshiba Satellite U500 are available in two color: Brown Luxe with either chrome or silver accents. The laptop measures just 317 x 230.6 x 29.5 mm and weighs only 2.15kg(with battery). Toshiba Satellite U500 laptop will be available in Europe next month for starting price from €699($980) through selected leading retailer.